Great touch. Even though the ring wasn't expensive it makes it feel expensive. 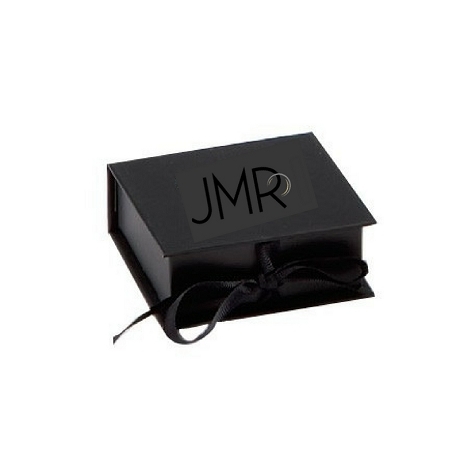 Black Ring Box with a Black Ribbon Bow. A Very Handsome Package to hold a Precious Wedding Ring. My Husband and I had been looking at rings at the local mall and 2x and 3x the price for the same style!! We were both very satisfied with my purchase (too bad he went somewhere else and paid more than I did!!) Thanks JustMensRings.com! Box looks very well made! I was pleased..